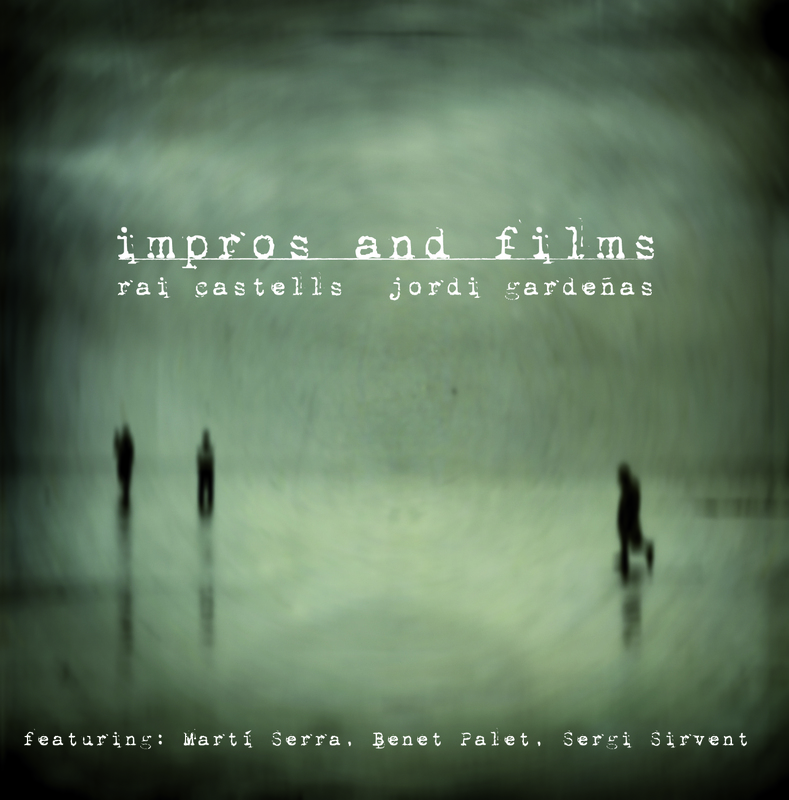 Impros & Films Is a work that is the result of the colaboration between guitarist Rai Castells and drummer Jordi Gardeñas. 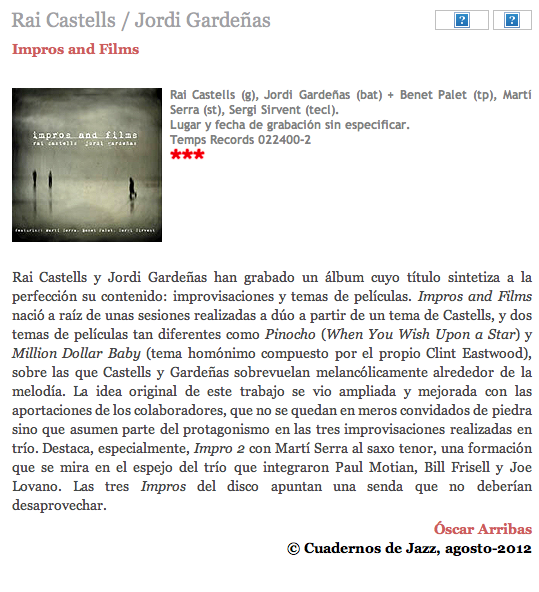 The Cd has received very good reviews from the specialitzed press including a three stars puntuation from the prestigious magazine, Cuadernos de Jazz. 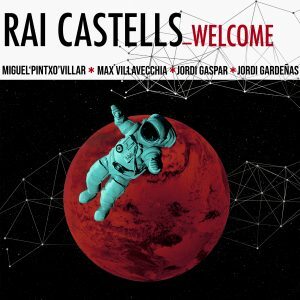 The cd starts out with an original composition from Rai Castells entitled Cinc. 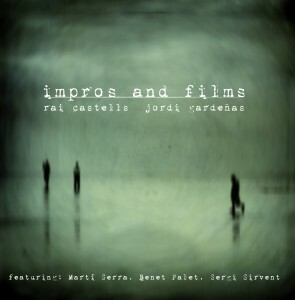 The second cut is an improvitzation with the colaboration of Sergi Sirvent on piano Fender. The album continues with Million Dollar Baby, a Clint Eastwood composition from the soundtrack for the film Million Dollar Baby. 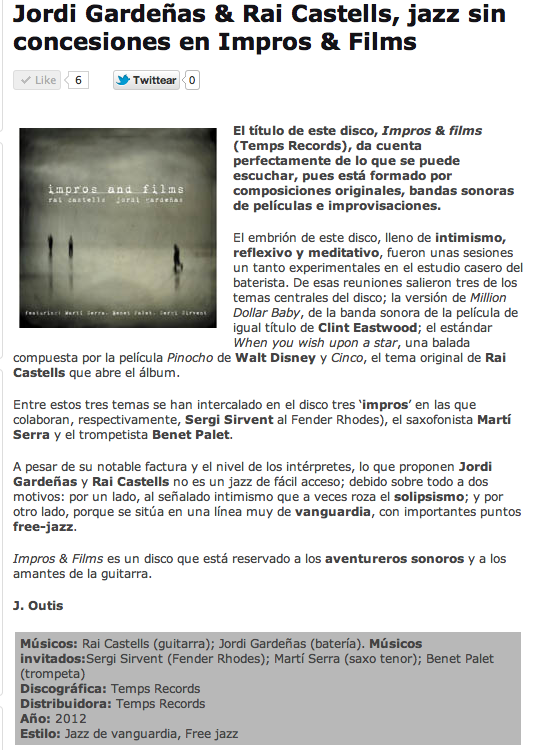 The fourth cut is another improvisation, this time with the support of saxophonist Martí Serra. The fifth cut is When you wish upon a star, which became a standard ballad composed for the American film Pinocchio from Walt Disney. 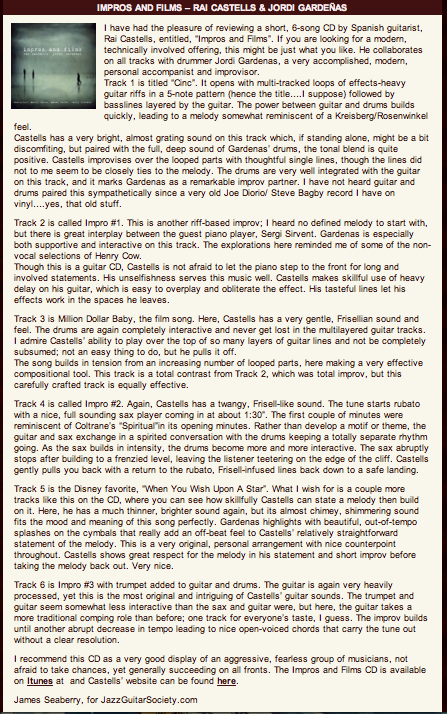 The closing tune is an improvisation with the great trumpet player Benet Palet.